Each year, InterAction’s photography contest focuses on incredible humanitarian and development work. 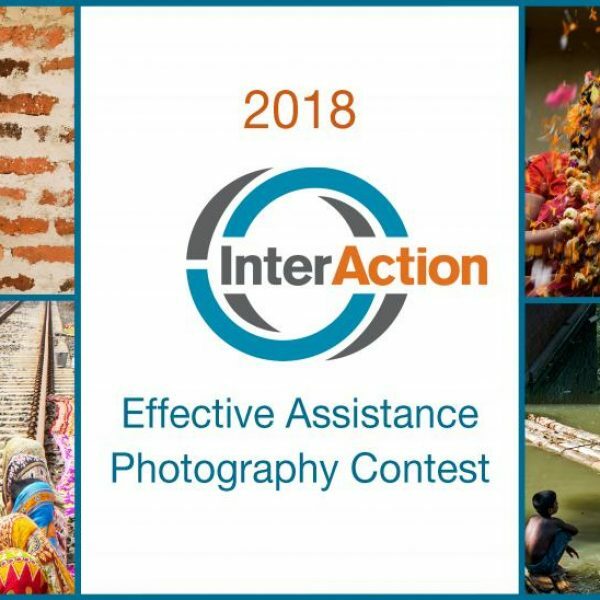 They encourage you to submit your most powerful photos that illustrate innovative, effective and inspiring efforts in international relief and development. Examples of self-reliance, innovative technology, shared values, partnerships, and delivery of humanitarian assistance re encouraged, though entries are not limited to those categories. All images should be of work done outside of the United States. All entrants must hold a copyright to the photographs they submit and by entering are claiming such ownership. If it is determined an entrant has fraudulently claimed ownership of their submission, the entry will immediately become void and ineligible. All images should be of work done outside of the United States. Selected photos will be posted online and made available for download. Photos failing to meet the judging requirements will not be posted publicly. InterAction reserves the right to suspend or cancel the Contest or modify these rules at its discretion. One Grand Prize Winner will receive 1,000 USD. The winning photo will also be showcased at InterAction’s 2019 Forum, June 11-13. Three Runners Up will receive 100 USD and have their photographs displayed on an online gallery at www.interaction.org.